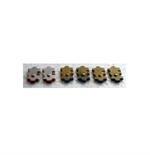 Keyless Gate Lock Kit-Lockey Keyless Double Sided Deadbolt, Passage Hardware and Gate Box. One Kit does it all. Your choice of Lever or Knob Entry and Steel or Aluminum Gate Box. 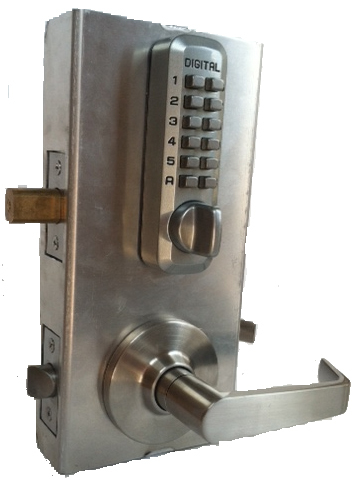 This Kit Includes a Lockey M210 Double Sided Deadbolt Lock, Passage Hardware (Lever or Knob) and a Gate Box (Steel or Aluminum). 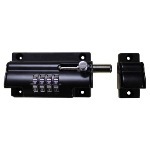 The M210 Double Side Deadbolt Lock is bump proof, pick proof and mechanical so it does not require wires, batteries or electricity. 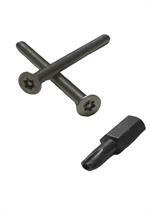 This kit is available with sping latch lever handle, that is ADA Compliant, or a spring latch round knob. 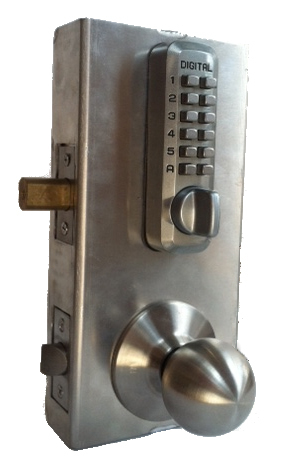 The lever and knob are double-lever on inside as well as outside or knob on inside as well as inside. The passage spring latch allows the gate to be held closed everytime it closes so you can leave it unlocked if you choose to. Why is this kit great for gates? 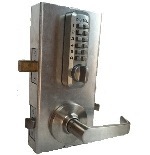 One Integrated System provides a double sided deadbolt and spring latch passage with a gate box that can be welded, or bolted, into your gate. 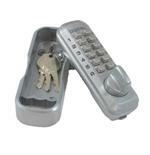 The deadbolt lock provides keyless security and is weather resistant. For outdoor or indoor use. 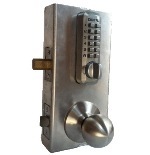 Satin Chrome finish only for the lock as well as passage hardware. FREE SHIPPING. 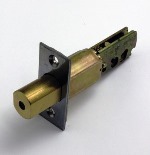 LIFETIME MECHANICAL MANUFACTURER WARRANTY ON THE LOCK.